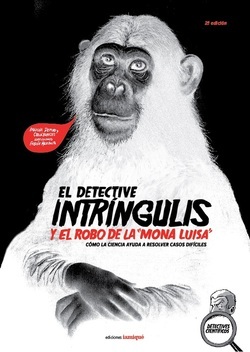 As Detective Intringulis cracks a case, this book shows how science helps to solve crimes. A highly original combination of an information book and a detective story. The investigation of an art theft gives an explanation of the techniques and know-hows involved in forensic science: what are fingerprints and how are they collected, how does the lie detector work, how can you tell if a painting is authentic, etc. It also includes activities, anecdotes from the world of art and famous detectives from literature. Recommended: To teenagers who aspire to be the next Sherlock Homes one day. General all-around investigators are also welcomed to read this book. **Second volume, <Detective Intringulis and the Kidnapped Puppy>, will be released soon! *Click the cover image for another PDF & English Text! About to be dubbed a classic any day now, this series gives simple answers to some of the mysteries of everyday life. From two central ideas, the book opens out into a range of questions, answers, challenges and experiments. The information is backed up with fun illustrations, a dose of humour and interesting facts. 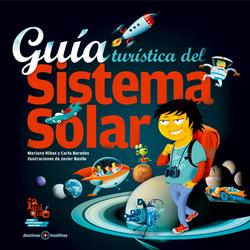 <The Sun and the Earth for Curious Kids>: Discover why things don't fall upwards, where the Sun goes at night, why it's hot in the summer and why wool keeps you warm are just some of the crazy questions that this book answers. 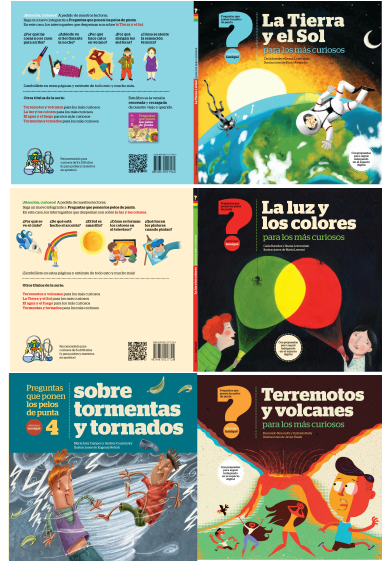 <Light and Colours for Curious Kids>: Find out why you can't see when the lights are out, why red roses look red, where the moonlight comes from and why paintings are coloured, plus many more. <Earthquakes and Volcanoes for Curious Kids>: Find out what lies at the center of the Earth, what tsunamis are, where lava comes from, what islands are, plus a whole lot more. A host of ideas are incorporated to boost reading and learning. <Storms and Tornadoes for Curious Kids>: Discover what clouds are made of, why it rains stones, how lighting is formed, where hurricanes come from and lots more. Recommended: Ideal for teachers and parents in a fix. Students are always more than welcome to join. This series leads children to the discovery that science is both fascinating and present in many of the activities we do on a daily basis. <Chemistry Even in Your Soup!>: How does an airbag work? Why are pencils like diamonds? Why do fizzy drinks go flat? Why do we cry when we chop onions? Discover the wonders of these enthralling subjects! <Ecology Even in Your Soup!>: What is it all made of? What happens when a species dies out? What does it mean to be a responsible consumer? What is the greenhouse effect? Why should we care about water? Discover more about these exciting disciplines! Recommended: To teenagers who want to get down to business and get some actual answers to the most sought-out questions. SEVEN STRANGE DESTINATIONS FOR THOSE LOOKING FOR A ONE OF A KIND HOLIDAY! Written in a tour guide format with sections like What to take, What to do, Places to see, this title takes a profound and entertaining trip to an intriguing and uncommon destination. A detailed, original and funny description of each of the planets in the Solar System. Every 'visit' ends up with a list of the planet's main features and includes information on the space missions which have visited them and details of official websites that update the information every day. **Second volume, <Extreme Earth Tour Guide>, will be released soon!